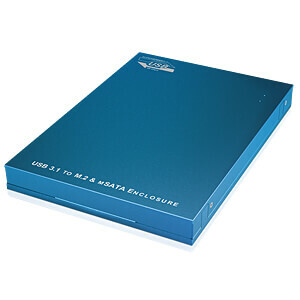 The IB-186 is a compact external enclosure for M.2 SATA or mSATA SSDs. The SSDs are well protected to be transported safely around and can deliver their full performance. A limitation of the capacity of the SSDs is not existent. The case is manufactured with precision fit, with four screws the case is opened and the hard disks are inserted equally custom-fit. The micro USB-B connector does not wiggle and shows good workmanship as well. 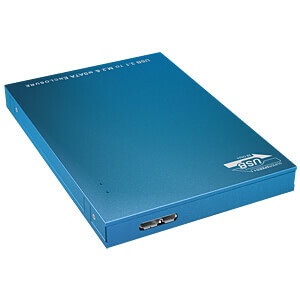 The connection between host PC and external enclosure is realized by a USB 3.1 cable. 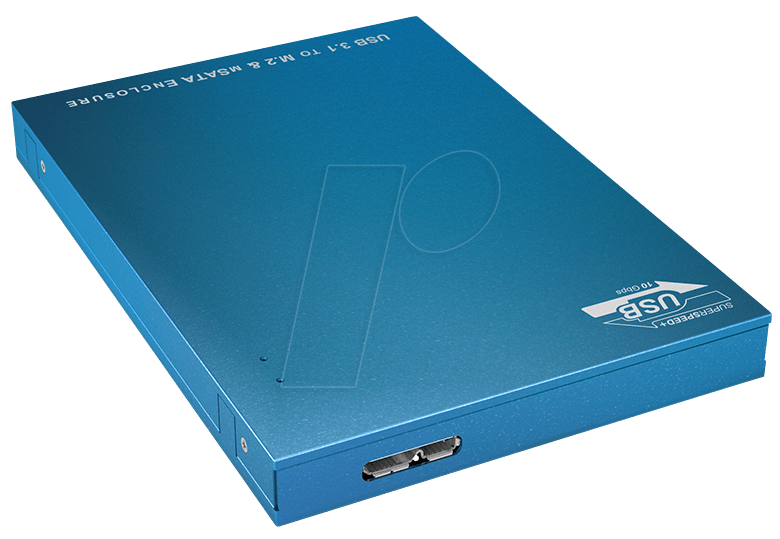 Thanks to the USB 3.1 protocol a high data transfer rate of up to 10 Gbit/s can be reached. 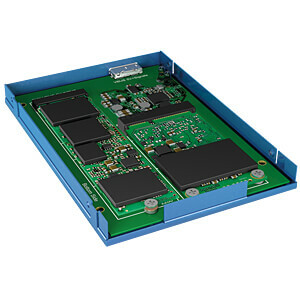 SATA III provides internally up to 6 Gbit/s. 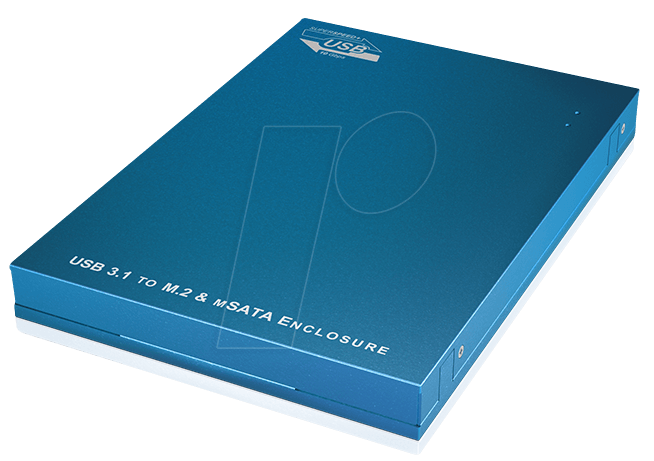 The dimensions for M.2 SATA SSDs with B-Key or B+M-Key are 22x30/42/60/80 mm. 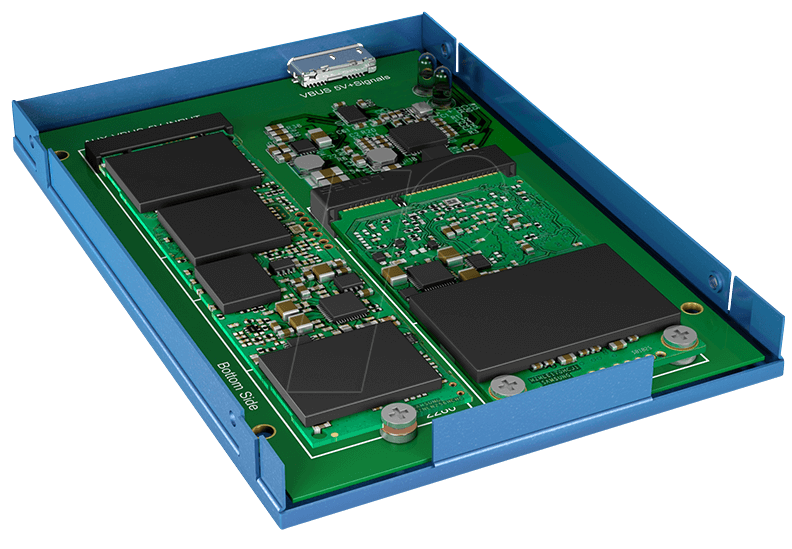 As far as mSATA SSDs are concerned dimensions of 30x30/50 mm are perfectly fitting. The aluminum case shimmering an icy blue gives a cool look and dissipates heat during operation perfectly. Due to the brushed surface the case does not slip out of hand.